The Spanish Institute of Oceanography supports different operational programmes in order to observe and measure ocean characteristics. Their combination allows responses to ocean research activities and marine ecosystem management, as well as official agency requirements and industrial and main society demands. All these networks are linked to international initiatives, framed largely in supranational Earth observation sponsored by the United Nations and the European Union. Bays and harbors naturally resonate with standing waves, known as seiches. 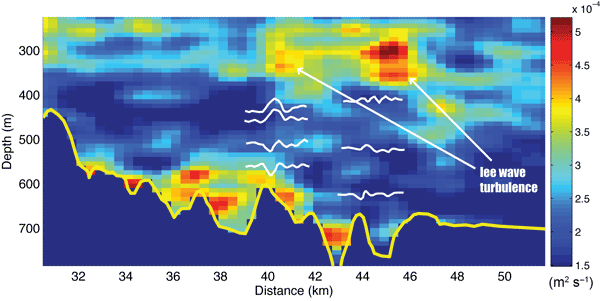 Seiches are usually considered temporary, however, we identify small-amplitude, continuously present seiches in six bays around the Pacific and suggest that tidally forced, continental shelf resonances are a primary driver of continuous seiches. Using measured, modeled and reanalysis wave data and reanalysis wind data, we show that the Indian Ocean Dipole (IOD) plays a role in the variability of wave climate of the eastern Arabian Sea (AS). The change in wind field over the AS due to IOD influences the generation or dissipation of wave field and hence causes the decrease in northwest short period waves during positive IOD and increase during negative IOD. Several operational satellite chlorophyll a (CHL) in the Baltic Sea were tested at a regional scale. Comparison to an extensive in situ CHL dataset showed low linearity. Bias-corrected CHL annual cycles were computed. The Gulf of Bothnia displays a single CHL peak during spring. In Skagerrak and Kattegat, there is a small bloom in spring and a minimum in summer. In the central Baltic, CHL follows a dynamic of a mild spring bloom followed by a much stronger bloom in summer. The paper explores the importance of physical forcing on the exchange mechanisms and the renewal time in the Curonian Lagoon over 10 years. The influence of ice cover on the exchange rates has been explored. Finally, the influence of water level fluctuations and river discharge has been studied. It has been found that ice cover is surprisingly not very important for changes in renewal time. The single most important factor is river discharge. The analysis presented in the paper aims at extending the classification capabilities of Self-Organizing Maps (SOM) within the context of ocean waves. Indeed, the intrinsic SOM difficulty in representing extremes of the wave climate is discussed and alternative strategies are proposed in order to represent the whole wave climate at a given location. Among them, a two-step SOM together with a double-side map provides the best results. Between January 30th and February 4th we collected the first turbulence observations in the Gulf of Trieste under different wind forcing and water column structure. The vertical profiles of the turbulence kinetic energy dissipation rates showed that the presence near the sea floor of different water masses, inflowing from the open sea, can prevent the complete mixing of the water column. This dumping effect is enhanced when these masses present higher suspended sediment concentrations. One-year long moored measurements of currents and hydrographic properties in the overflow region of the Faroe Bank Channel have provided a more accurate observational-based estimate of the volume transport, entrainment, and eddy diffusivities associated with the overflow plume. The data set resolves the temporal variability and covers the entire lateral and vertical extent of the plume. The Sentinel-6 mission is proposed as a multi-partner programme to continue the Jason satellite altimeter data services beyond the Jason-2 and Jason-3 missions. The Sentinel-6 mission programme consists of two identical satellites flying in sequence to prolong the climate data record of sea level accumulated by the TOPEX/Poseidon, Jason-1, Jason-2, and Jason-3 missions from 2020 to beyond 2030. The ocean meridional overturning circulation (MOC) is predicted by climate models to slow down in this century, resulting in reduced transport of heat northward to mid-latitudes. At 26° N, the Atlantic MOC has been measured continuously for the past decade (2004–2014). In this paper, we discuss the 10-year record of variability, identify the origins of the continued weakening of the circulation, and discuss high-frequency (subannual) compensation between transport components. Our study shows that wind increases of 4 to 8 m s−1 above warm Agulhas Current eddies are not uncommon. This should be taken seriously when sailing in the “Roaring Forties”. Using microwave remote sensing from satellite is a very useful tool for monitoring such eddies. This could be displayed operationally to provide vessels with early warning and to indicate where there are likely to sustain stronger wind. The result is also relevant for the Gulf Stream and the Kuroshio Current. Measurements of turbulent heat fluxes in tidally modulated flow of supercool seawater under Antarctic land-fast sea ice show that turbulent heat exchange at the ocean–ice boundary is characterized by the product of friction velocity and (negative) water temperature departure from freezing. Also, the conditions cause platelet ice growth to form on the underside of the sea ice which increases the hydraulic roughness (drag) of fast ice compared to ice without platelets. Harmonic constants of tides and tidal currents are obtained from long-term observations. Diurnal tides and tidal currents dominate in southern Natuna Sea and Karimata and Gaspar straits. Existing numerical model results are not accurate in the study area. Existing tidal models based on satellite observation need to be improved for the area. The upper layer of the Reloncaví fjord, Chile, shows a continuous stratification year-round. Nevertheless, the vertical salt flux seems to be balanced by the horizontal salt flux, which maintains the amount of salt into the fjord nearly as a steady state. The upper layer shows a flushing time of about 3 days. Recent advances in ocean color remote sensing have allowed the quantification of the particle size distribution (and thus volume) of suspended particles in surface waters, using their backscattering signature. Here, we leverage these developments and use volume-to-carbon allometric relationships to quantify phytoplankton carbon globally using SeaWiFS ocean color data. Phytoplankton carbon concentrations are partitioned among three size classes: picoplankton, nanoplankton and microplankton. The paper describes MEDRYS, a MEDiterranean sea ReanalYsiS at high resolution for the period 1992–2013. The NEMOMED12 ocean model is forced at the surface by a new high resolution atmospheric forcing dataset (ALDERA). Altimeter data, satellite SST and temperature and salinity vertical profiles are jointly assimilated. The ability of the reanalysis to represent the sea surface high-frequency variability, water mass characteristics and transports through the Strait of Gibraltar is shown.